I’m ken. I live in Osaka. The other day, I used Peach airline between kansai airport and Narita airport. But I lost my way. 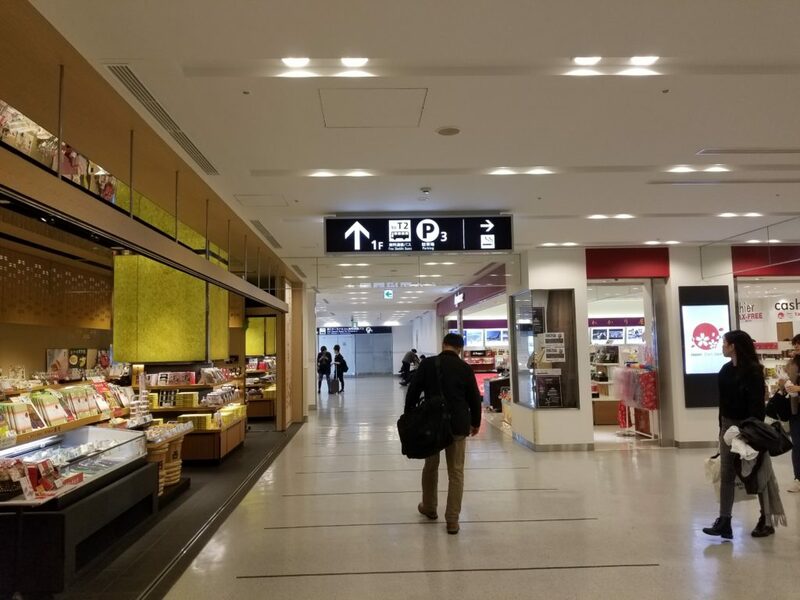 I walked Terminal 1 in kansai international airport. 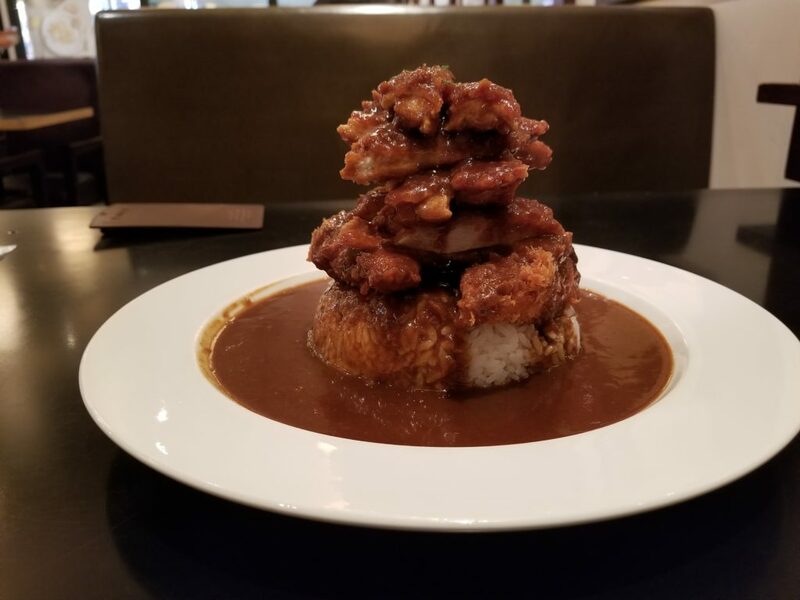 I should have gone to Terminal 2 in kansai international airport. Anyway,I could gone to Terminal 2 ,thanks to the airport staff . If I missed my flight, I would have lost some money. 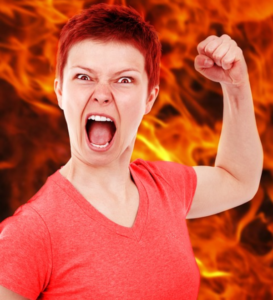 My mother will get angry with me. I will leave weblog to trace the right way next time. 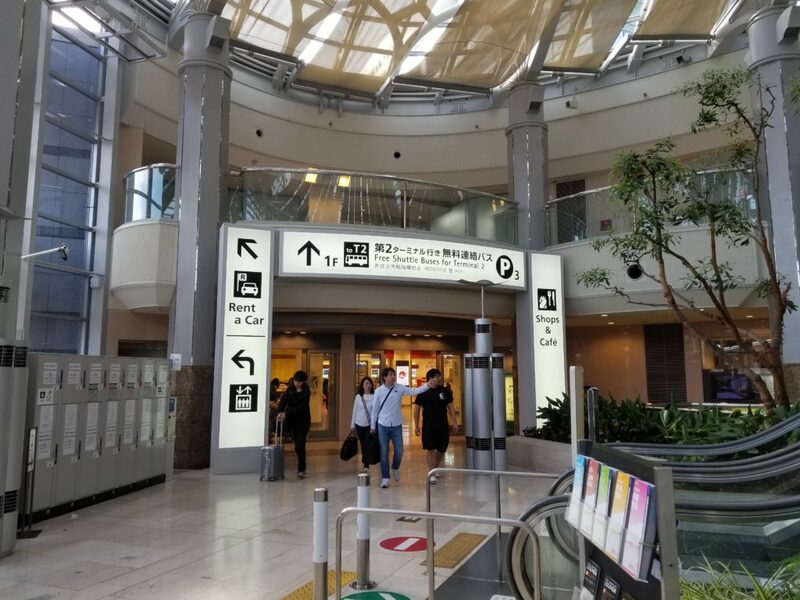 How to get to Kansai Airport Terminal 2 from Kansai Airport Station. Where is the Peach check-in counter?Is it far? 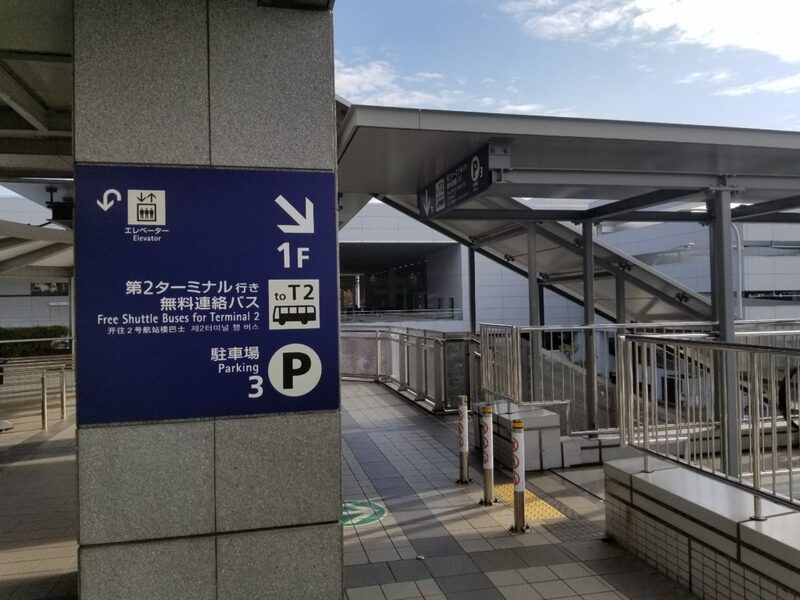 1 How to get to Kansai Airport Terminal 2 from Kansai Airport Station. 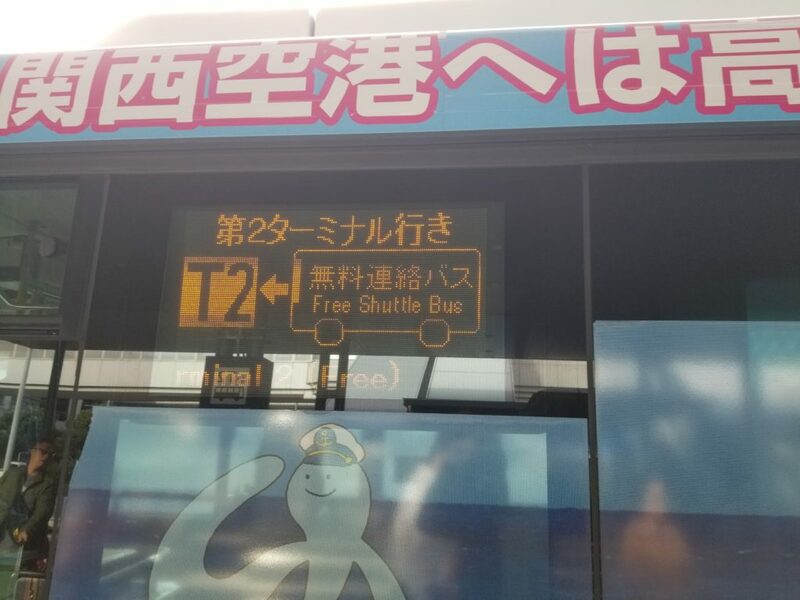 2 How long is it to the Terminal 2 by bus and the time table for bus? 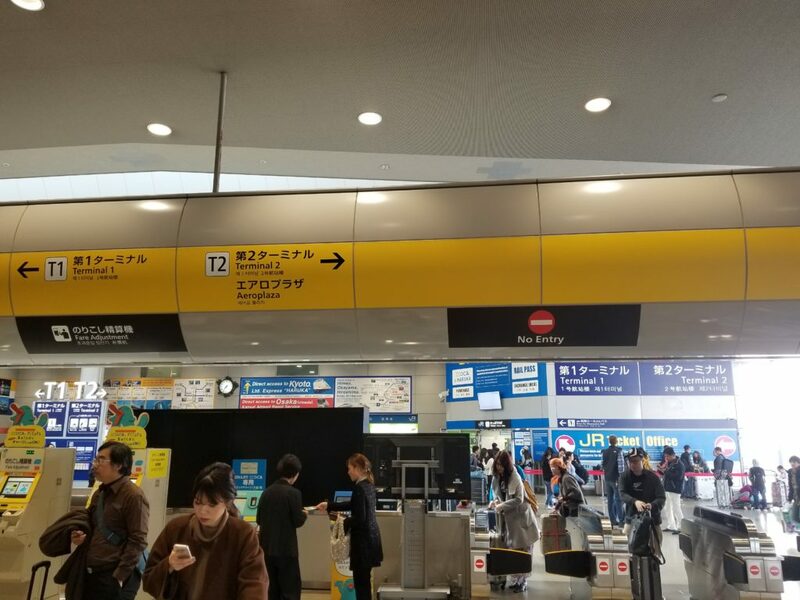 Starting point is the Kansai International Airport Station. From the　station ticket gate. Turn right, after you exit the ticket gate. 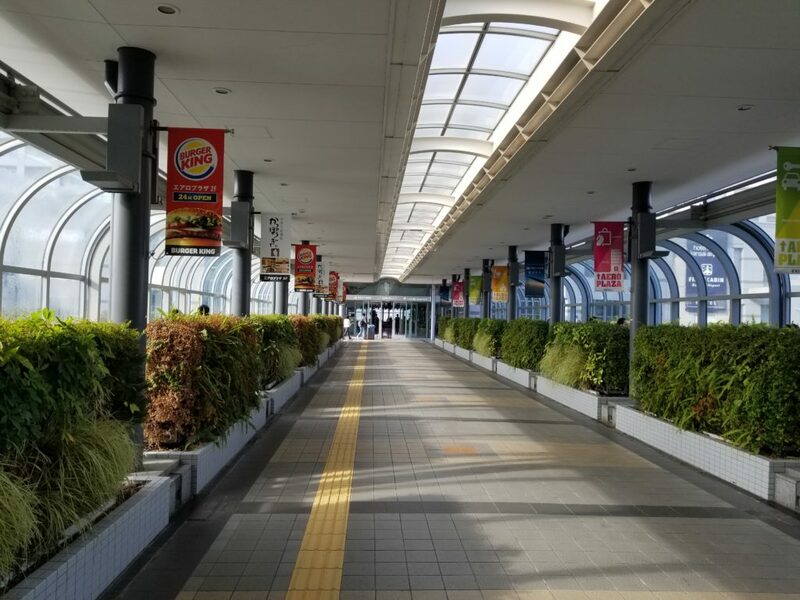 Go straight　through the moving walkway or the center road. 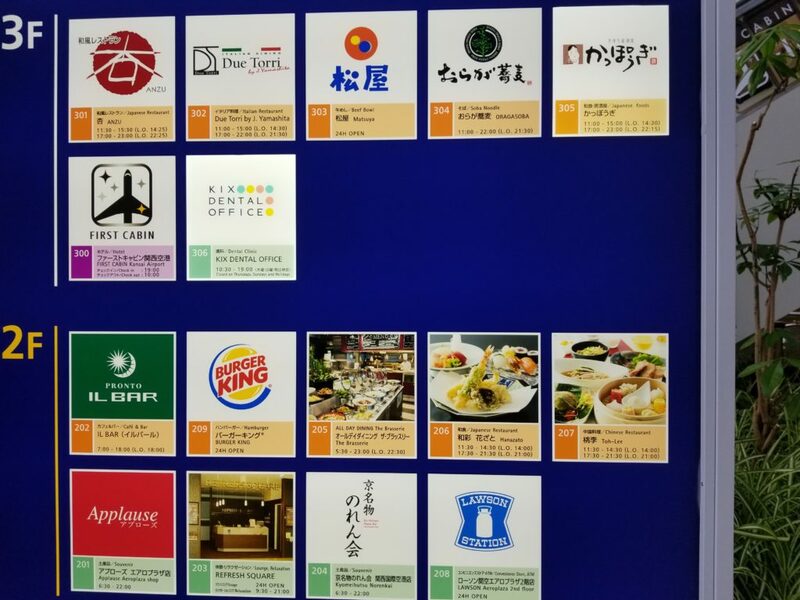 In Terminal 2,you don’t have much choice of restaurants. If you’d like to get the lowest price on the plan,I will recomend Matuya ,Lawson or Burger king. Go straight from the door. 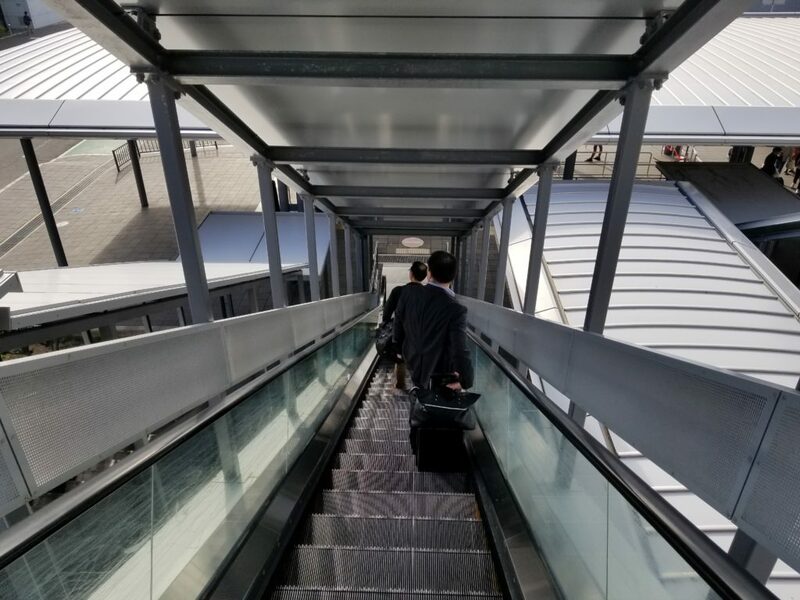 Go outside,and go down the escalater. 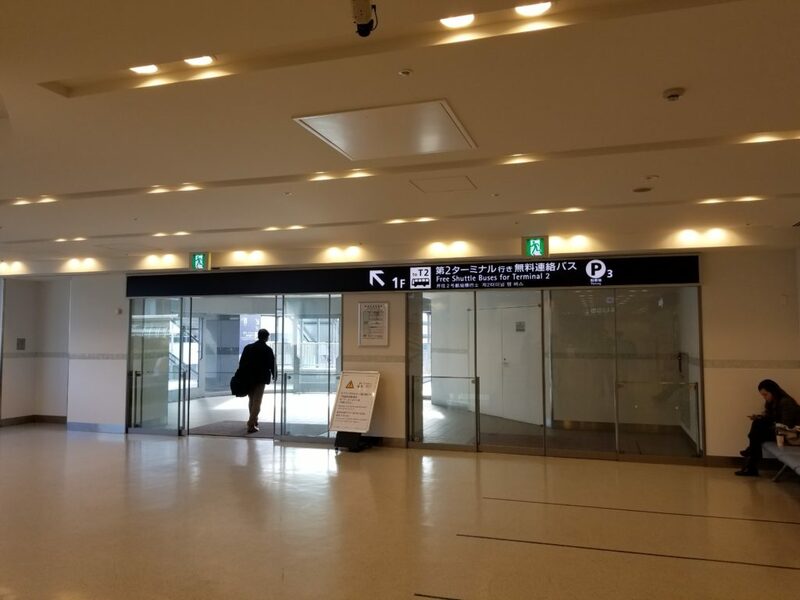 How long is it to the Terminal 2 by bus and the time table for bus? 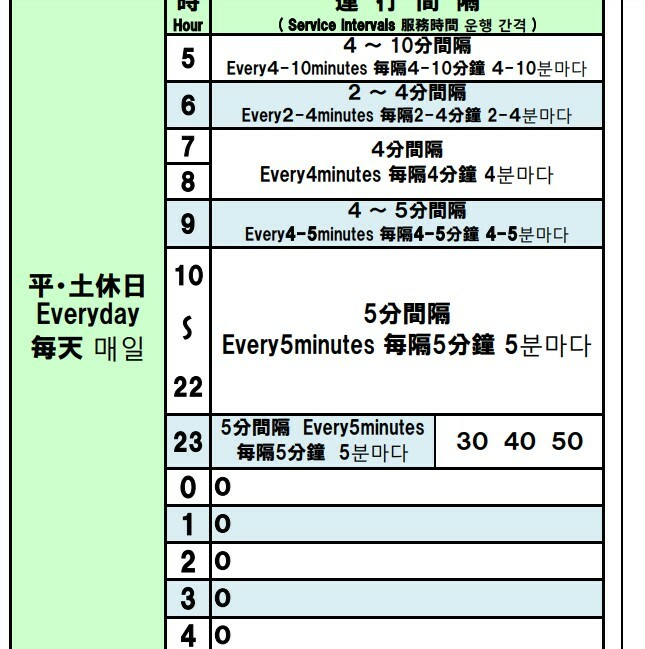 Free Bus comes every 3-5 minutes　from 5 am to 11:30 pm . I used the bus at 7 am . Bus comes every 5 minutes. Bus comes every 1 hour from 0 am to 5 am. I reached Terminal 2 in 5 minutes by bus. 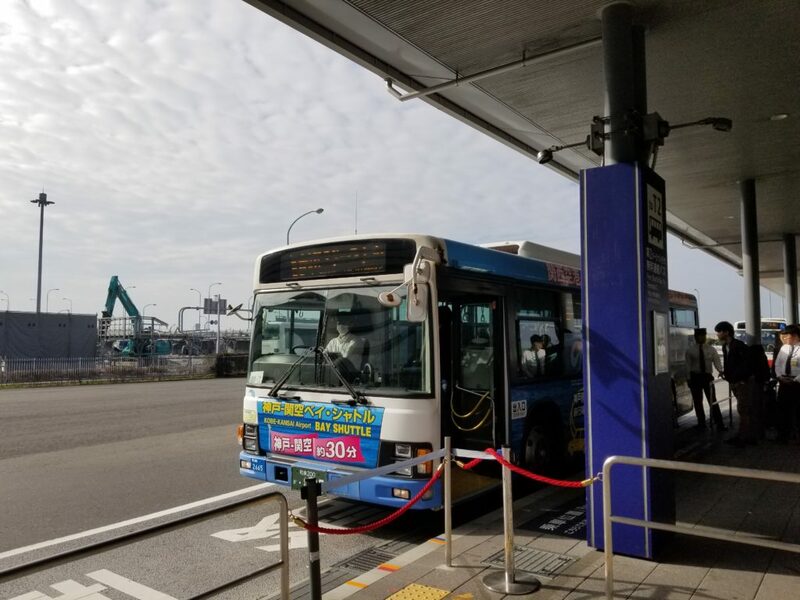 It takes 3 minutes From the Kansai international airport to the bus stop. 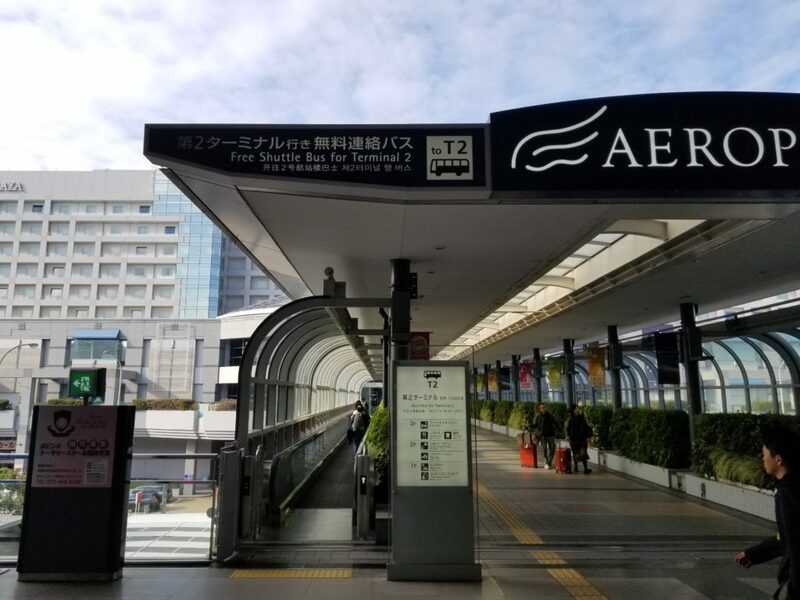 It takes more 10 minutes From the bus stop to the Terminal 2. 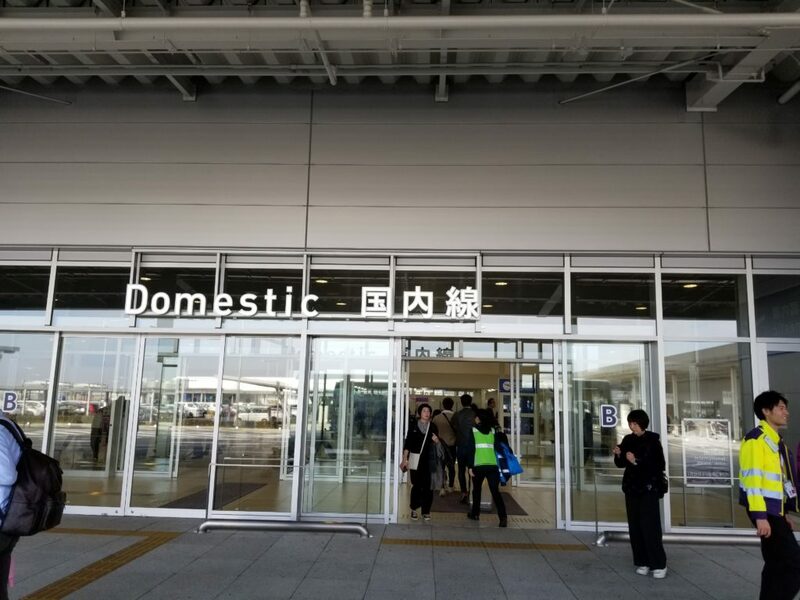 After all,It takes about 15 minutes from kansai international airport station to Terminal 2 unless you come to kansai airport between 11:30 pm and 5 am. 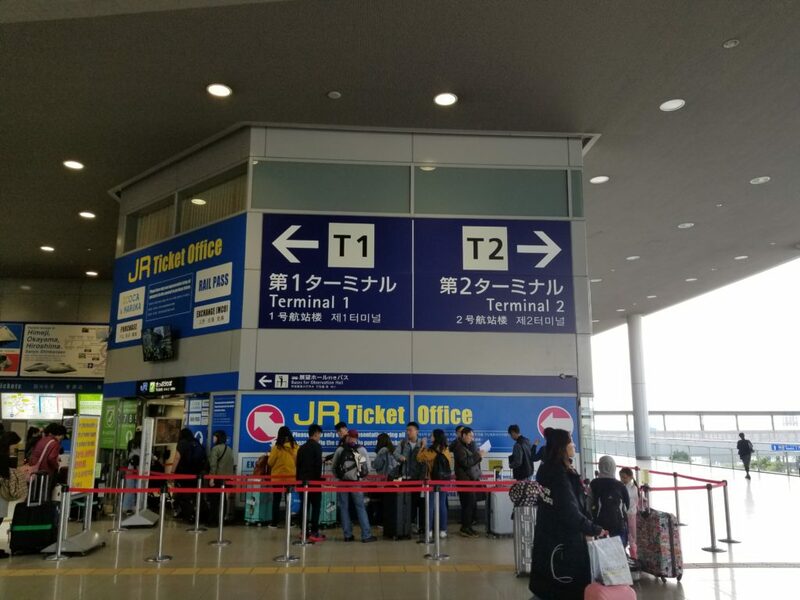 Where is Terminal 2 for international airline ? 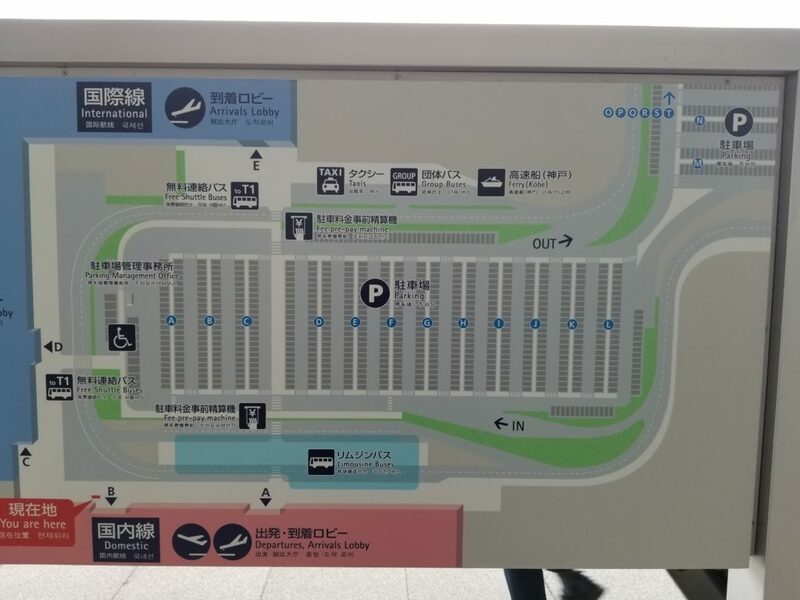 Terminal 2 map is below. 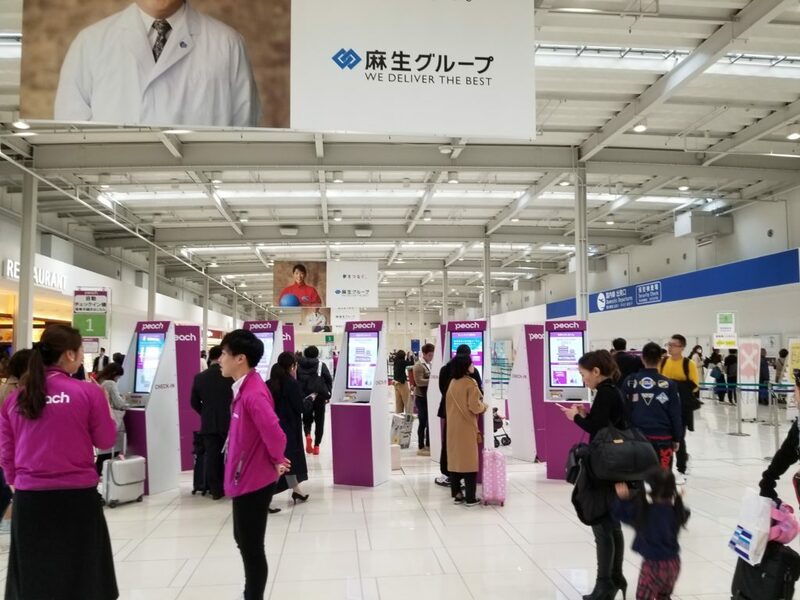 Domestic Peach airline is near the entrance. 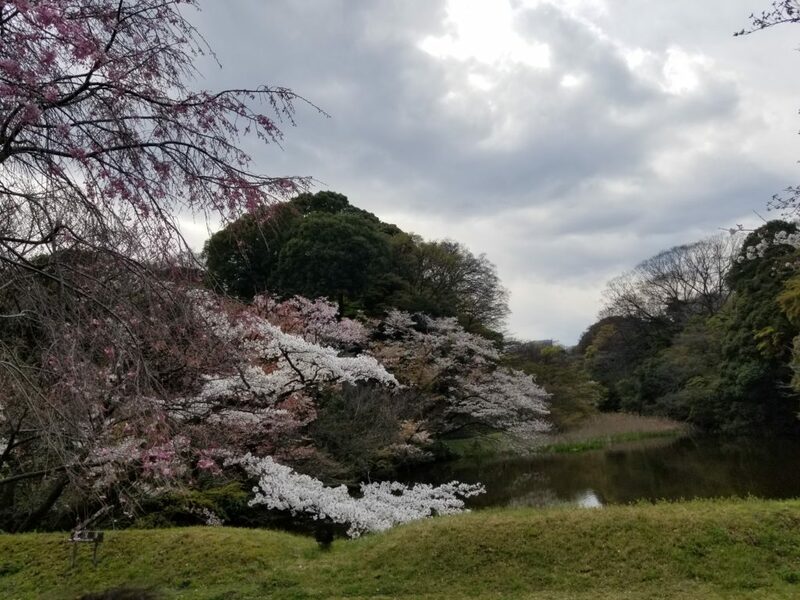 This image is a imperial palace in Tokyo. Terminal 1 :Margherita kitchin was good taste.